Baltasar Garzon began investigating human rights abuses under Franco in 2008. Madrid, Spain (CNN) -- A Spanish judge will face trial for alleged abuse of power in his probe into human rights abuses under the former Spanish dictator Francisco Franco, a Supreme Court spokeswoman told CNN Wednesday. It happened just a day after Baltasar Garzon asked for a leave of absence from his post at Spain's National Court to work temporarily at the International Criminal Court at The Hague, Netherlands. 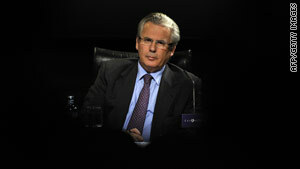 Garzon, who has presided over a number of cases against high-profile figures such as former Chilean dictator Augusto Pinochet and al Qaeda leader Osama bin Laden, is accused of opening his own investigation into human rights abuses under the long Franco regime -- which ended in 1975 with Franco's death -- despite a parliament-approved amnesty to all involved in such crimes in 1977. The Supreme Court is also investigating Garzon amid allegations of wiretapping in a corruption scandal that has affected leaders of the main opposition Popular Party. He is also facing bribery allegations relating to a course he organized at New York University while the course's sponsor was under investigation at Garzon's court. The 54-year-old judge proclaimed his innocence in all three cases in a brief statement to reporters earlier this year. He could be removed from the bench if found guilty. Spanish trade unions and some of the nation's leading progressive personalities, along with international human rights activists, have come to his defense, arguing that he had the right to investigate disappearances and killings under the Franco regime. The year before, the Spanish Parliament, led by the current Socialist government, passed a law condemning Franco's dictatorship and calling on town halls to fund initiatives to unearth mass graves. The 2007 law also sought to honor Roman Catholic clergy and others executed by the losing side in the war, the forces loyal to the leftist Republican government. Last April, Varela, the Supreme Court magistrate, wrote that Garzon "tried to take control of locating and exhuming" the mass graves in his investigation. Spain's General Council of Judicial Power now faces various immediate issues, analysts said -- whether to suspend Garzon from the bench now that a Supreme Court trial has been ordered, and whether to allow him the leave of absence.